Resurrection Lutheran School provides a learning environment that is academically rich for students in grades junior kindergarten through Grade 8. Each day, students experience a very special kind of learning atmosphere that has continued to strengthen and grow since RLS opened in 2002. 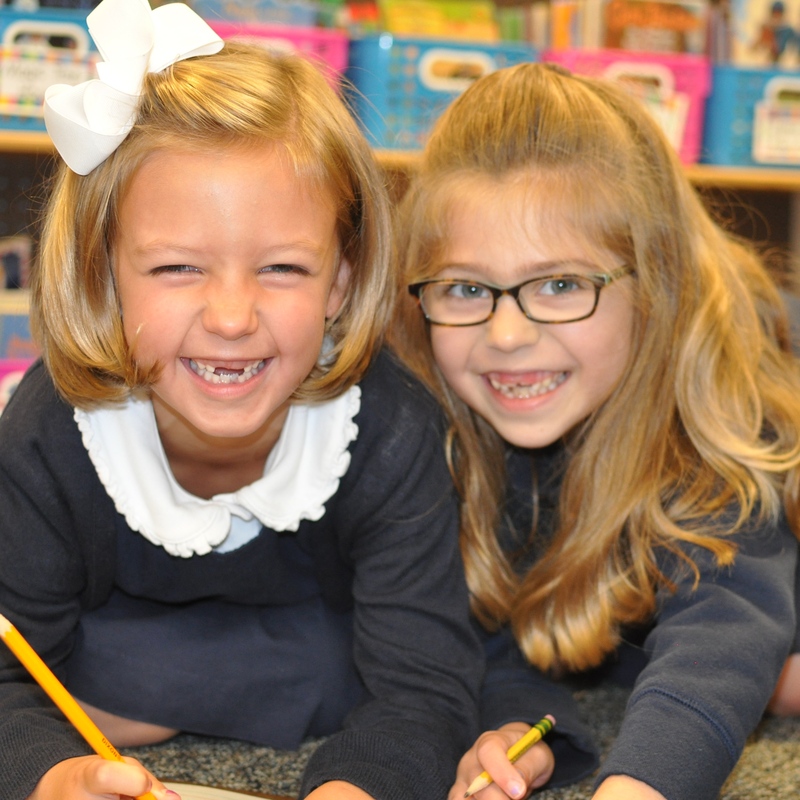 At RLS the teachers, administration, church staff and parents work together to plant seeds in the hearts and minds of our students through discipline, respect, guidance, encouragement, sound educational strategies and daily modeling of Christian love. Field trips, cultural arts programs, community service, differentiated classroom instruction, hands-on learning, collaboration, special activities, and a variety of extracurricular opportunities all contribute to a solid foundation in the elementary grades. In middle school, RLS provides for unique overnight travel opportunities, academic competitions, clubs, athletic teams, chorus, band, drama, and various leadership opportunities. Junior kindergarten (Pre-k) will utilize the Wonders Reading series by McGraw Hill and Handwriting without Tears. The teacher created Math program will consist of hands-on activities supplemented by manipulatives, games, songs and other fun investigations. K-2 also uses the Wonders reading program which will allow for continuity. Children will learn through play and exploration. *Students must be 4 by August 31 to enroll in full-day junior kindergarten (Pre-k). Kindergarten-2nd Grade will utilize the Wonders Reading series by McGraw Hill, Zaner Bloser Handwriting, Shurley English, Write Traits-Houghton Mifflin, Pearson Realize-Math, and One in Christ Series for Religion. Both Science and Social Studies are taught through hands on learning and teacher created lessons supplemented with Foss and Delta science learning kits, Scholastic News, Science Fun for Everyone, Studies Weekly, Brainpop Junior and field trips. *Students must be 5 by August 31 to apply to kindergarten. Math–enVision Math by Pearson is based on conceptual understanding. The program incorporates grade level objectives and problem solving through interactive and visual learning. While the program is organized around the Common Core domains, RLS teachers do modify the curriculum to meet the newly revised North Carolina math objectives. Language Arts–Foundational learning of grammar and composition is taught through Shurley English instruction. Students spirally learn sentence structure, conventions, various parts of speech, sentence identification, the writing process, and traits of writing. Teachers correlate writing units with cross-curricular studies, such as Literature and Social Studies. Writing units include descriptive essays, research reports, persuasive essays, narrative writing, instructional writing, and writing poetry. Literature–Novel Studies are a primary method of literature instruction in the upper elementary grades. Our novels not only incorporate Literature objectives, but Social Studies as well. Non-fiction text covers 50% of the literacy objectives at the 3-5 level. 3rd grade primarily uses Curriculum Associates Cars and Stars program, and 4th and 5th grade uses close reading text passages, articles, and activities. Grades 3-5 also use various supplemental and teacher-created activities to enrich each child and make instruction student-driven and meaningful to each individual child. Science–The 3-5 Science curriculum focuses on weather, space, plant life, the human body, rocks and minerals, electricity and magnetism, force and motion, and animal studies. Teacher’s use several different Fossil and Delta Education kits and texts for experimental instruction. Social Studies is intertwined throughout cross-curricular units at RLS as well as through various texts and publishers. The 3-5 focus is the United States and North Carolina. Many hands on projects and field trips truly enrich and enhance the fascinating things learned through these benchmarks. Religion–Lutheran based curriculum One in Christ is our primary framework for Religion education. 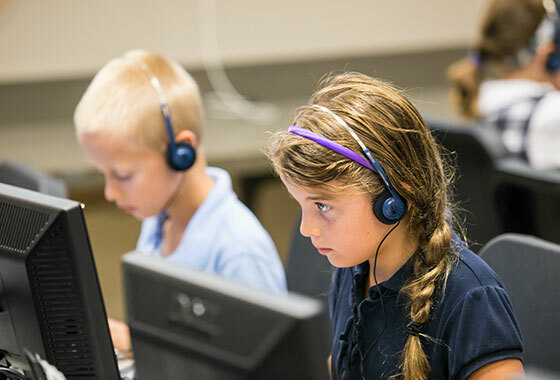 Resurrection Lutheran School is committed to embracing technology at every grade level. The technology lab is complete with 25 workstations, printers and state of the art software. Computers, Chromebooks, iPads, TI calculators, Smart Boards, Smart Response, and projectors are all used in the classroom in order to promote interactive learning. RLS teachers are instrumental in bringing this technology to life as they embrace the new concepts and commit themselves to integrating technology in their classrooms daily.